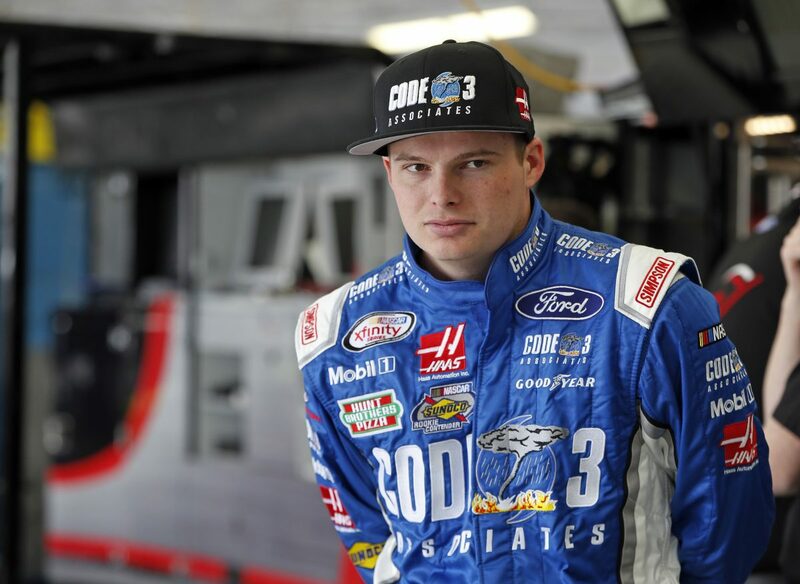 Cole Custer will compete for his sixth consecutive top-10 finish this weekend in the Richmond 250 at Richmond (Va.) Raceway. This will mark Custer’s sixth start at Richmond and his fourth NASCAR Xfinity Series start at the .75-mile oval. In his first Xfinity Series start at Richmond in April 2016, Custer claimed his first Xfinity Series top-10. Custer is no stranger to victory lane at Richmond. In 2014, he took the checkered flag after leading 52 laps in the K&N Pro Series East race. In Custer’s five combined starts in the NASCAR K&N Pro Series East (two races) and NASCAR Xfinity Series (three races) at Richmond, Custer has a win, two top-five finishes, three top-10s and 76 laps led. In 45 Xfinity Series starts, 42 Camping World Truck Series starts and 29 K&N Pro Series starts since 2015, Custer has five wins, seven poles, 14 top-five finishes, 28 top-10s and 919 laps led at tracks that are a mile in length or shorter. Custer’s best finish in the six Xfinity Series races run this season is his fourth-place result at Texas Motor Speedway in Fort Worth. Custer has one win, one pole, nine top-five finishes, 26 top-10s and has led 307 laps in 45 career Xfinity Series starts. Custer is sixth in the Xfinity Series driver standings with 218 points, 43 behind series leader Elliot Sadler. Custer participated in a STEM (Science, Technology, Engineering and Mathematics) event at Richmond on Wednesday, where he taught over 300 Central Virginia students the science behind racing. Last week at Bristol (Tenn.) Motor Speedway, Custer earned his and Stewart-Haas Racing with Biagi-DenBeste’s first Xfinity Series career pole. He continued to battle in and around the top-five before securing his fifth straight top-10 finish. Code 3 Associates will be the primary partner onboard Custer’s No. 00 Ford Mustang at Richmond for the first time this season. Code 3 Associates is a 501(c)(3) non-profit organization specializing in animal rescue and recovery in disaster areas. Formed in 1985, Colorado-based Code 3 Associates is a national response team that, at the request of local government officials, provides animal rescue and recovery in times of disaster. The organization has evolved from one unpaid volunteer to approximately 75 professional responders and thousands of members around the country, which include animal welfare, law enforcement, fire, EMS and veterinary specialists from the United States and Canada. While its focus is animals and their owners, Code 3 Associates trains its responders to the standards of human rescue, and Code 3 Associates also provides training to conduct thorough investigations into animal welfare issues, all of which is accredited by Colorado State University and the school’s Veterinary Teaching Hospital. You have a win, two top-five finishes and three top-10s at Richmond. What will it take to get your second win at Richmond? Do you think you can keep the top-10 momentum going at Richmond? How would you rate the team’s performance this year compared to last year? Are you content with consistent top-10 finishes? What car are you bringing to Richmond?